Andrew Walker started his acting career in Montreal as a recurring lead on the series “Student Bodies” from 1996-1997, and then was cast as a series lead on “Back to Sherwood” and “Radio Active.” Shortly after moving to Los Angeles, he was cast as a series lead on The WB’s “Maybe It’s Me” and later on “Sabrina the Teenage Witch.” Walker then appeared in the Lifetime movies “Wicked Minds” and “Lies and Deception” and later the ABC show “Hot Properties.” In 2006 he starred alongside Academy Award nominee, David Strathairn in the film “Steel Toes.” This performance earned Walker the 2008 ACTRA Best-Actor Award, along with the Phillip Borsos Award at the Whistler Film Festival. Andrew was a series lead on the Lifetime series “Against the Wall” and also guest starred on hit TV shows, including “ER,” “CSI: Miami,” “CSI: New York,” “Without a Trace,” “Big Bang Theory,” and the Hallmark Channel’s mini series “When Calls The Heart”. 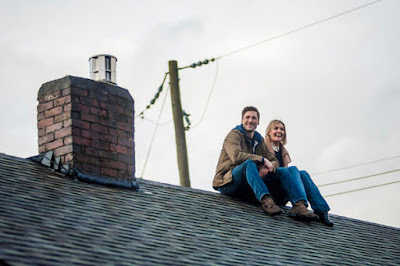 His latest project is the Hallmark film, Appetite For Love, which premieres Saturday, February 6 at 9pm ET/PT. Appetite For Love is a romantic comedy about a corporate executive, Mina (Taylor Cole), who is sent to a small town to re-brand a restaurant as part of a strategic acquisition. The only problem is that the iconic diner happens to be in her home town where she hasn't been in years and the owner, Clay (Walker), is her former high school sweetheart. Serial Scoop recently spoke with Walker, who previewed tonight's Appetite For Love premiere. Read our exclusive interview below. SERIAL SCOOP: What can you tell me about your character Clay? 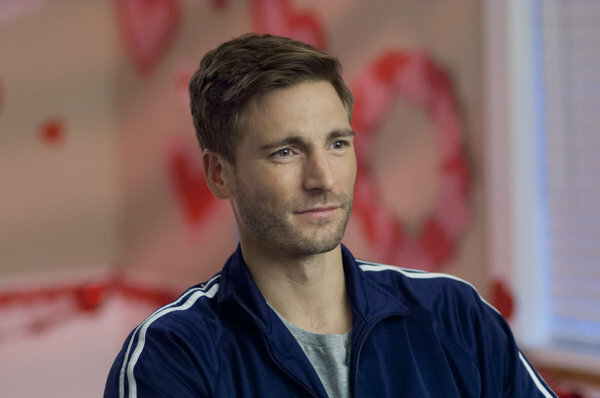 ANDREW WALKER : He’s a little bit of a fish out of water. In taking over his Dad’s business, he’s really a guy that works on passion for food and wanting to give the best to the community. It’s really current in how the world is looking at our food issues now, and really growing what you eat. You don’t have to be buying lemons from Peru or Kale from Brazil. You can really buy it locally. Clay is one of these guys who also didn’t really know what he had back in the day until Mina arrives back in his life. He’s got this innate sense to grow great food, and knows what kind of food to grow and when to use it. He also doesn’t want to disappoint his father, and the legacy that his father has left on the community. Clay is also a really passion driven guy. He doesn’t take no for an answer. SERIAL SCOOP: Now Mina (Cole) has reentered his life. You have great onscreen chemistry with Taylor. You do with your other leading ladies in your movies as well. What is the secret to creating that kind of chemistry? In this instance, your chemistry with Taylor is fabulous. ANDREW WALKER : Luck of the draw man [Laughs]. I’ve been very fortunate to work with these girls. I’ve had such a great track record in these leading ladies that Hallmark and the casting directors have picked for me to work across from. It doesn’t even cross my mind anymore. SERIAL SCOOP: Speaking of chemistry, how you would describe the relationship between Clay and Mina? 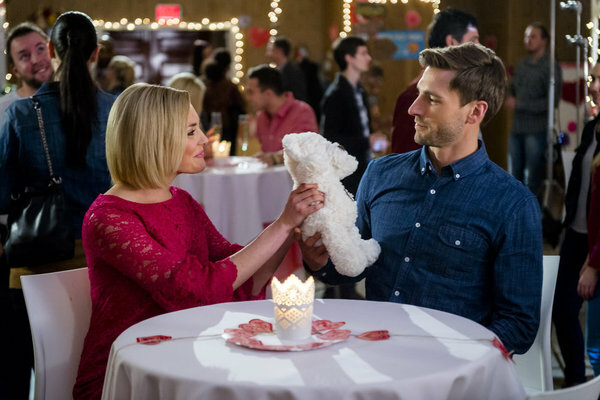 ANDREW WALKER: It’s that elementary school kind of love, where you bug the girl that you love, and vice versa. As opposed to showing your feelings too soon. It’s that puppy love way about going about it. They do come across as a bit volatile. He’s very protective over his business and his father. And I think he’s very surprised at her business sense. I also think on that same token how surprised he is at how disconnected she is from food and what she’s actually selling and how she is building these brands. And the story behind these brands. It’s huge shock to him. Clay was heartbroken back in the day. He had no idea what happened with Mina, but it was a miscommunication on both their parts. I think that’s what it really came down to. They didn’t have that communication I guess as they were building that relationship as younger adults, to talk about why things didn’t work out. You know how it goes. Life moves fast. You don’t pay attention to what you have right in front of you. Timing in life is everything, and that’s really for them that catalyst to this budding new appreciation for each other. SERIAL SCOOP: There were so many great moments in the film. Without spoiling anything for the viewers, is their a particular scene that stands out for you? ANDREW WALKER : A special day for us was just the environment that we were in up in the mountains, and the fishing scene we filmed. I’m fishing on the dock and she confronts me and we have our real first kind of blowup. We’re really not seeing eye to eye. That scene to me was so beautiful. The setting was so beautiful. It was a light drizzle that day, and we are in this awesome location. You see mountains for days, and you see the glaciers in the distance. It was a neat scene for me. The setting kind of disconnected me from the words and from what I was saying and it just kind of flowed and it felt good. SERIAL SCOOP: What is it about Appetite For Love that will appeal to viewers? ANDREW WALKER: We’re addressing what America and the rest of the world is facing today. We have a little bit of a food crisis. I think on a much smaller scale; this is a great story that allows people to appreciate restaurants that take that extra step to offer great food at a decent price. The root of the story is very current, but the relationship aspect of the story is also very relatable. This happens a lot, where people forget what they had right in front of them when they had an early relationship. Life just made it not work for whatever reason. I think it’s also a great family story, as all Hallmark films are. It’s got a huge demographic to it. The story is so well-rounded. You kind of get a little bit of everything. The suspense, the mystery, you have the love story, good versus evil. People can really relate to that. EDITOR'S NOTE: Watch a sneak peek of Appetite For Love below.